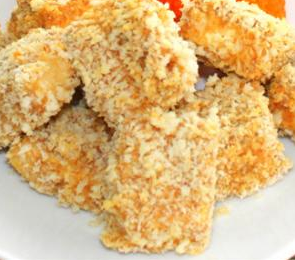 Looking for an alternative to the over-processed chicken nugget? I just found this recipe for Tofu Nuggets and thought I'd share the link. It looks pretty easy. My guys actually don't go for chicken nuggets, but I think I'll give this a try! Let me know how you find it!